The most powerful and complete solution for modern BI. 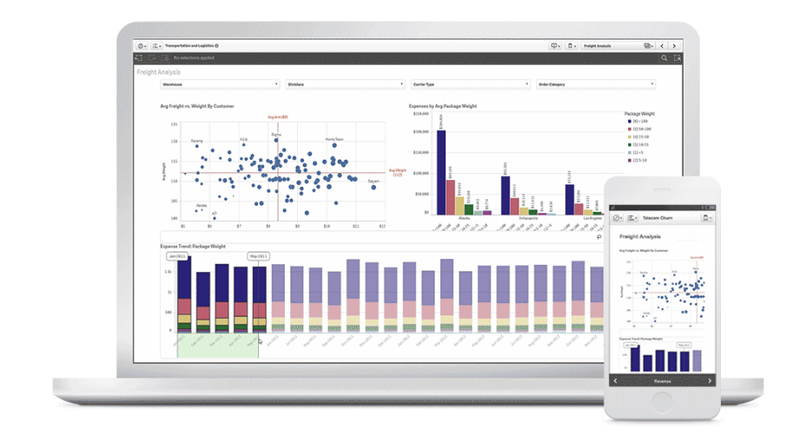 Qliks next generation data analytics application lets people of all skill levels do more with data. Rapidly combine any number of data sources, no matter how large. Freely explore in any direction using interactive selections and global search. Interact with a powerful array of smart visualizations. You’re no longer limited by linear exploration within partial views of data or slowed down by cumbersome data preparation. That’s Qlik Sense. Everything you need to build simple mashups, create custom analytics or embed rich and engaging analytics into your applications, portals and beyond. And you can do it all from a single platform with a proven governance and security framework. You can pick the bits you need to enhance into your existing environment. Qliks first-generation data discovery product. Advanced static reporting and distribution. 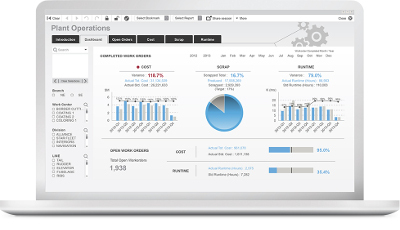 Create great-looking reports using data and analytics from Qlik Sense and QlikView. Distribute them in a flash. Quickly create beautiful, visually-rich reports leveraging your data and analytics with easy distribution in a variety of popular formats, including Microsoft Office and PDF. Make better location-driven decisions with easy-to-understand map visualizations and location-based analytics that expose hidden geographic relationships. Qlik GeoAnalytics not only provides comprehensive mapping capabilities, but also moves beyond visualization with built-in support for a broad range of advanced geoanalytic use cases to help reveal crucial geospatial information and expose. hidden geographic relationships.